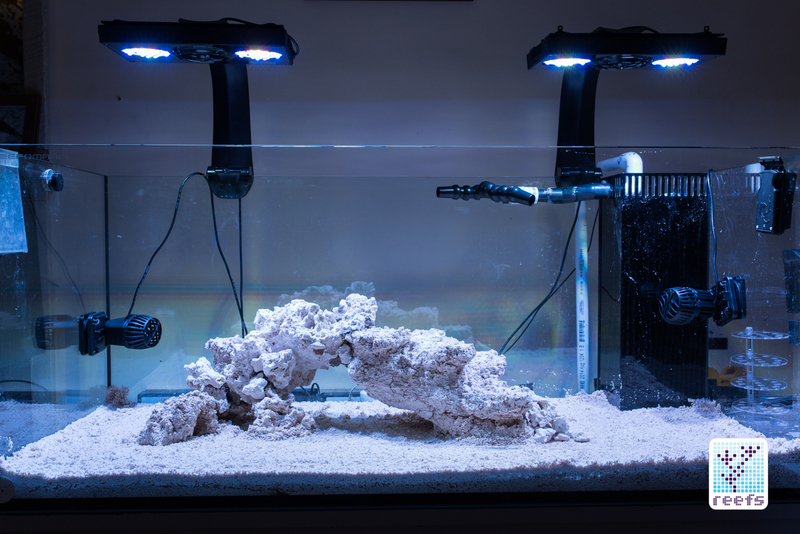 For saltwater aquarium hobbyists, sustainability has always been and still remains one of the top goals. 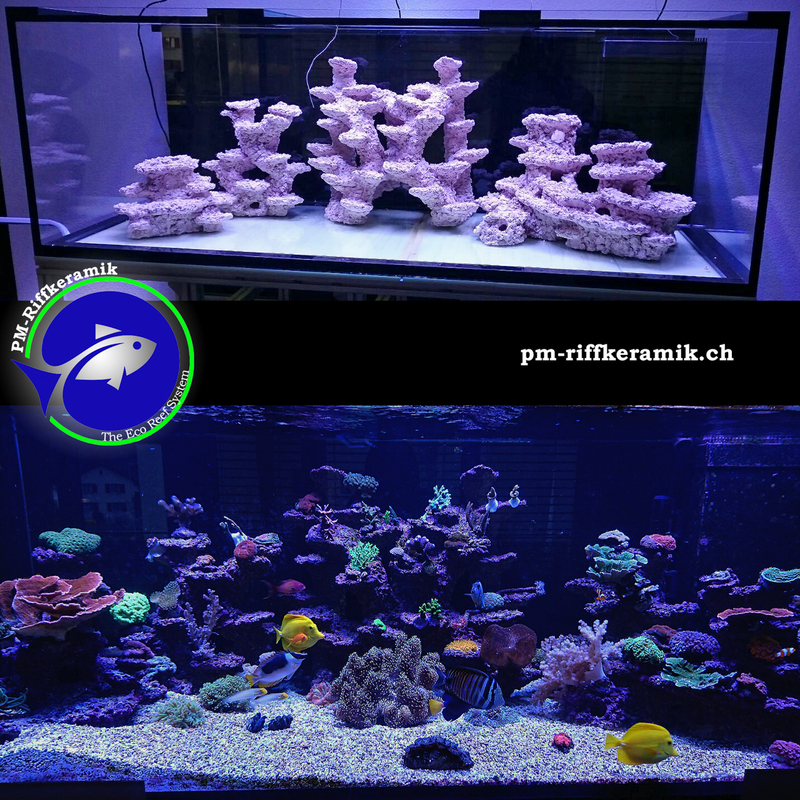 To that end, there has been a recent surge in demand for dry rock, used in newly-setup tanks instead of live rock taken from the reef. 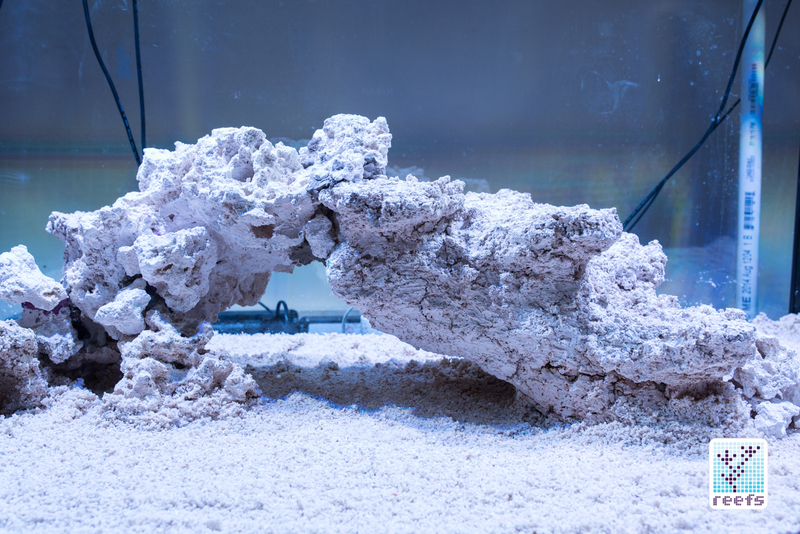 The benefits of starting a new aquarium with rock that has never seen saltwater, or, in the case of quarried rock, hasn’t seen saltwater in millions of years, far outweigh the negatives. 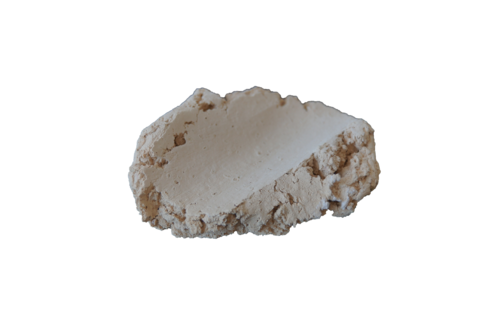 The only disadvantage dry rock has is that it’s devoid of life and therefore unable to act, albeit only initially, as an active biological filter. 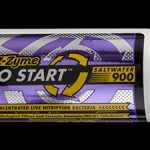 This can be remedied quickly by adding a small amount of “seed” live rock from an established aquarium and letting nature do its thing, or by adding commercially-available bacteria strains designed to help start the cycling process in a new tank. 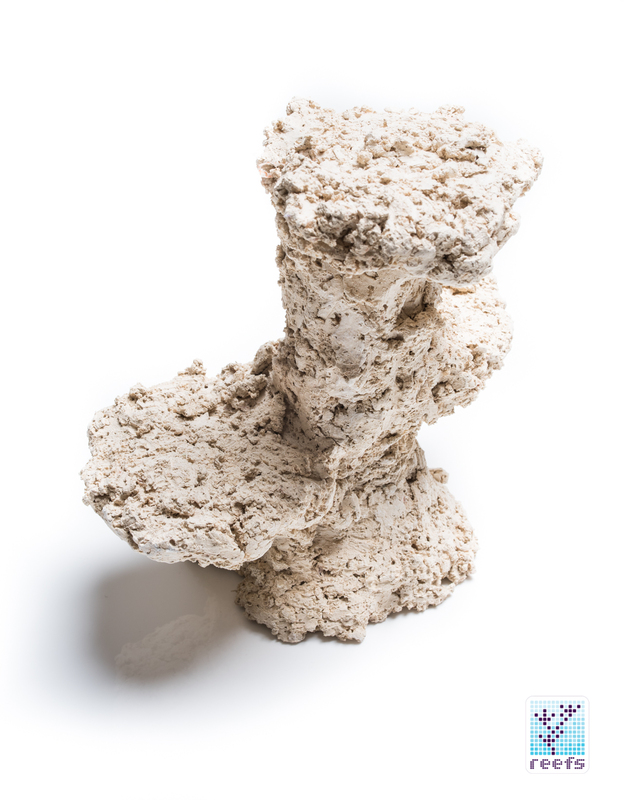 Live rock, on the other hand, has only one positive aspect to it, in my opinion- it comes loaded with beneficial microorganisms taken straight from the reef. 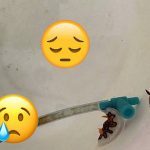 Unfortunately, it can also turn out to be a Pandora’s Box, as parasites, pests, and other unwanted animals can hide in its porous structure, but even worse than that, it’s harvested from the ocean, which strikes against the efforts to move the aquarium hobby towards sustainability and self-sufficiency. 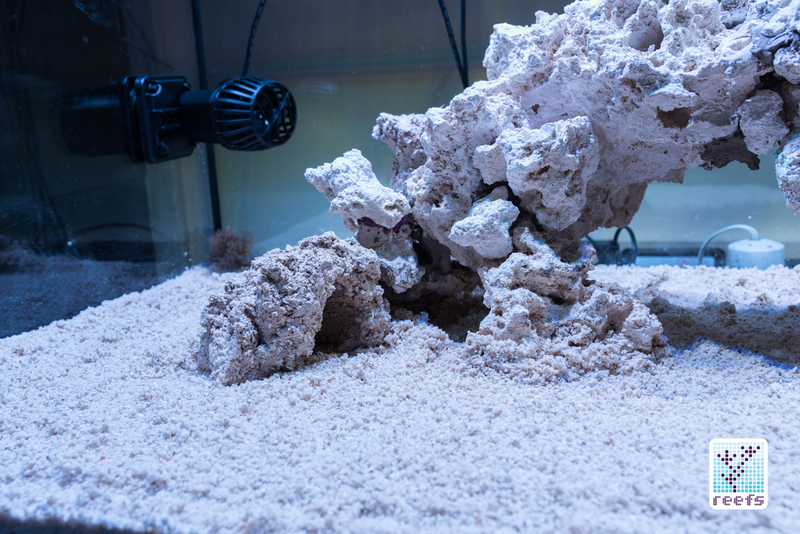 Dry rock for aquarium use generally comes from quarries dug in areas where ancient reefs once stood. Heavy machinery is used to extract coral boulders, which are then chopped up into smaller pieces and thoroughly cleaned before they are sold to retailers. There are, however, a few companies that take a different route, and make their rocks from scratch. 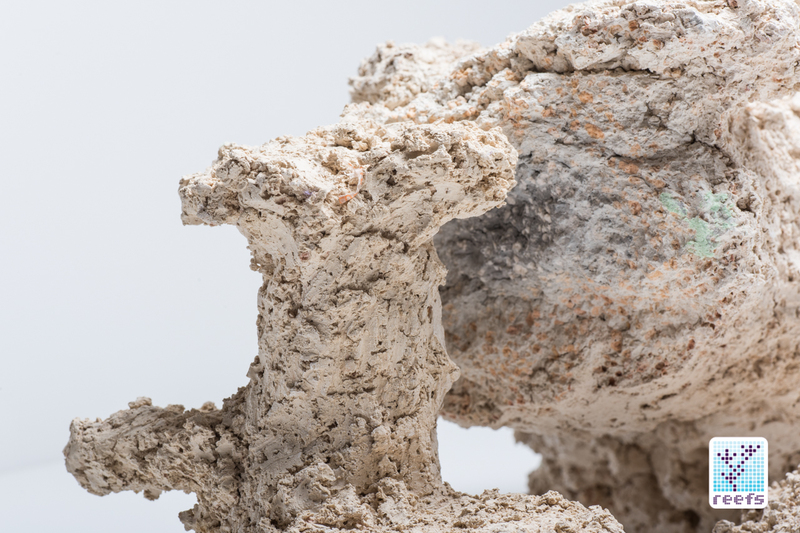 Various methods of achieving a natural-looking manmade rock are used, from DIY Portland cement and aragonite sand recipes to commercially made blends of ceramic media. 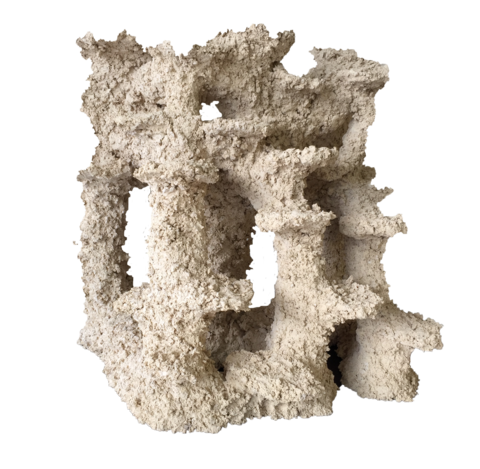 The end product is always the same- an artificial reef rock that aims to mimic the look and properties of the real thing, but without the numerous drawbacks that the real thing may possess. 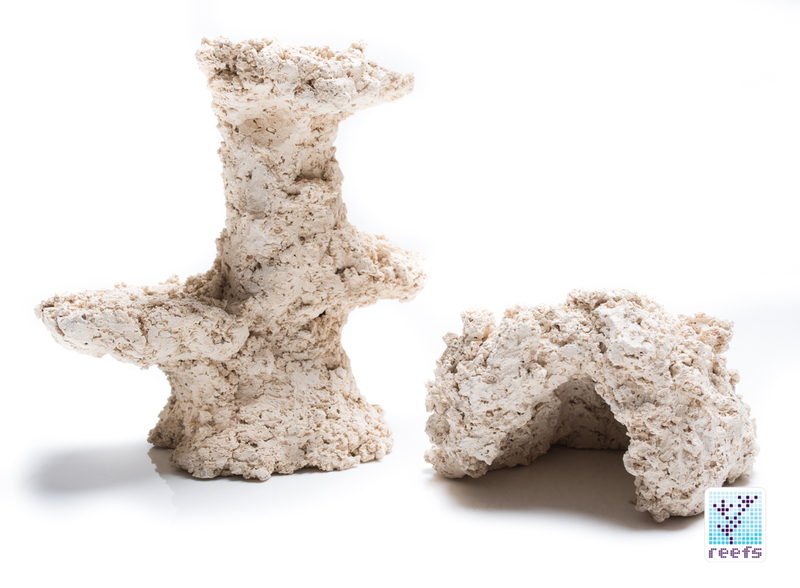 Not all manmade reef rocks are created equal. 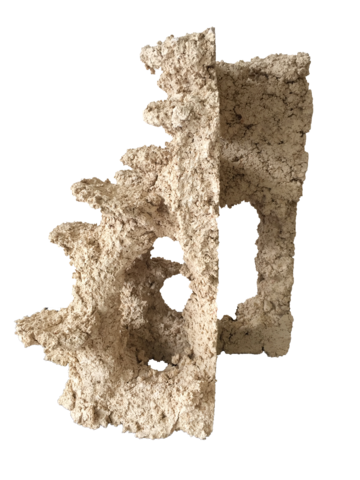 Some deliver on the looks but lack in porosity, which limits their ability to provide adequate biological filtration, while others have similar properties to natural dry rock, look “plasticky” and out of place in what should resemble a slice of a real coral reef. 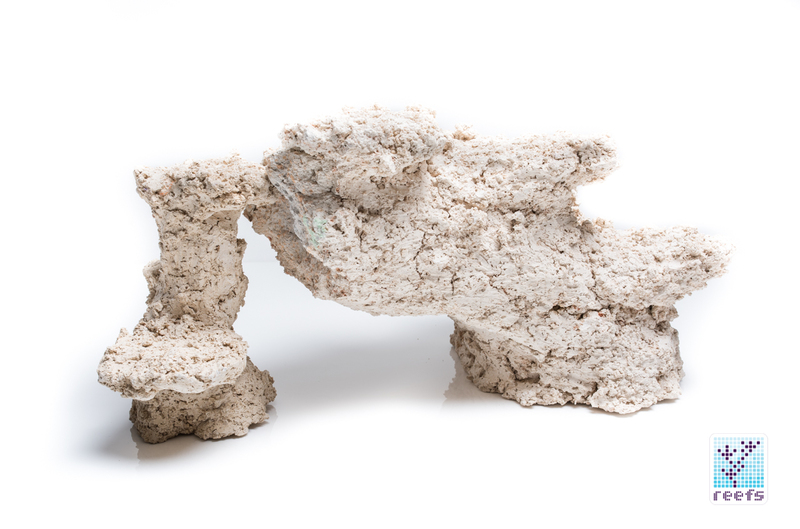 PM Ceramic, the Swiss company co-founded by Mirco Heule, addresses and eliminates both issues with a dry rock that looks good and provides just as much space for beneficial bacteria to grow as any rock taken from a coral reef. 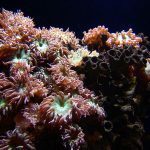 If you’re looking for a rock that closely resembles that taken from the reef, with the added benefits of no risk of leaching phosphates, a great deal of space for frags to be placed on, and some unique shapes rarely found in nature, PM Reef Ceramic offers all of the above and more. 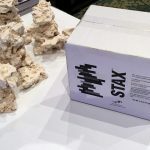 It’s very porous, has a solid, flat bottom, mimics real reef rock’s color and structure accurately, and most of all, is a good ecological choice, and helps the hobby in its sustainability goals. Besides the premade rocks PM Reef Ceramic lists on its website, the company also offers a broad level of customization to their products. Clients can ask to have the rock pre-drilled for frag plugs, also available from PM. 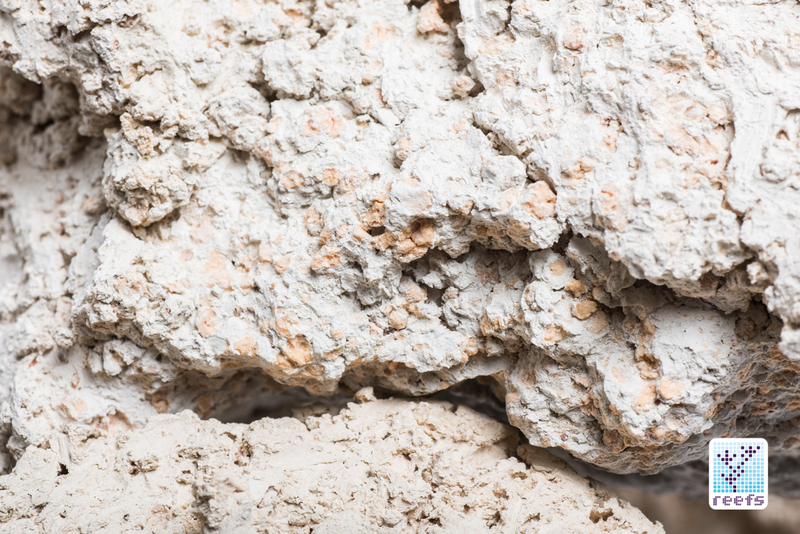 In addition, the order can be shipped with the company’s proprietary bonding cement, as well as a blend of beneficial bacteria to “seed” the newly acquired rock pieces. 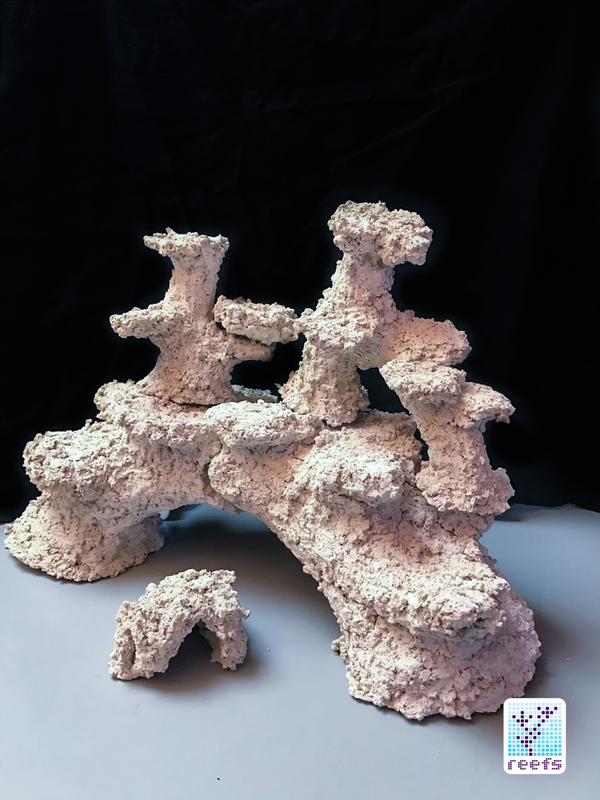 For serious aquarists that want to have their reef structure made exactly to their specifications, PM Ceramic designs and manufactures custom made rocks. 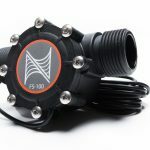 PM Reef Ceramic just started international distribution of their products, and is currently looking for US distributor. 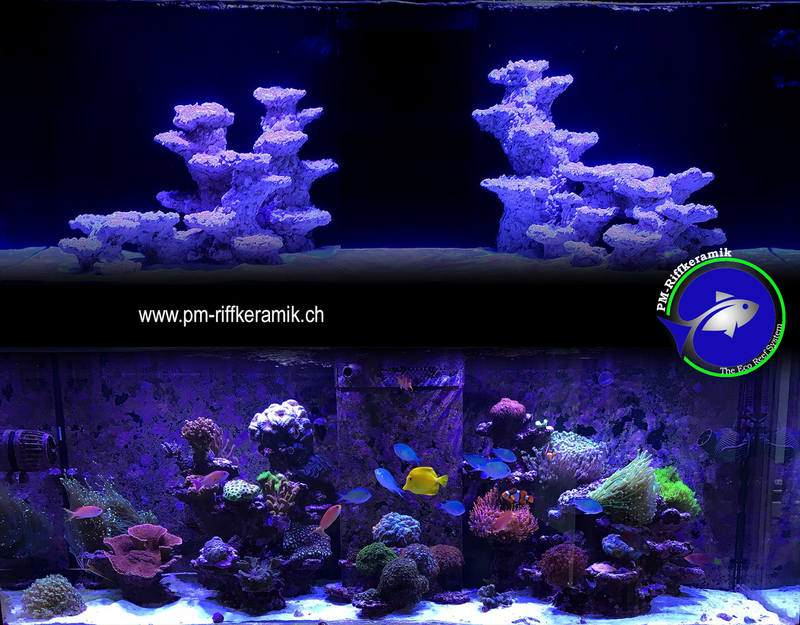 Currently, large orders can be fulfilled and shipped directly from Switzerland, but if your company is interested in distributing PM Reef Ceramic, give them a call or write using the contact form on their website.